So let’s agree that you won’t hold another meeting unless you have sufficiently outlined it as a revelatory experience. If it isn’t, cancel it; it isn’t worth holding a meeting that is anything different. Handbook 2 (4.6) advises ward council should be 60-90 minutes in duration. This is nice encouragement for those holding 3 hour meetings (you should be ashamed), but in reality there is no meeting that needs to go longer than 60 minutes. Do you disagree? 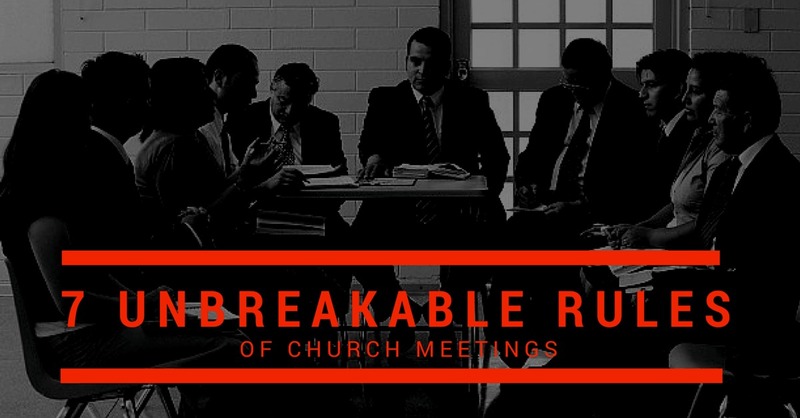 (please comment below) Meetings longer than 60 minutes damage your effectiveness as a leader. Nobody enjoys them and they need to stop. If you can’t help but go over the 1 hour mark, then you need more discipline through a timer. If you need help with not getting carried away in a meeting, your next meeting should have a kitchen timer present. Set it for 60 minutes and tell everyone in the room they are free to walk out once that timer sounds.